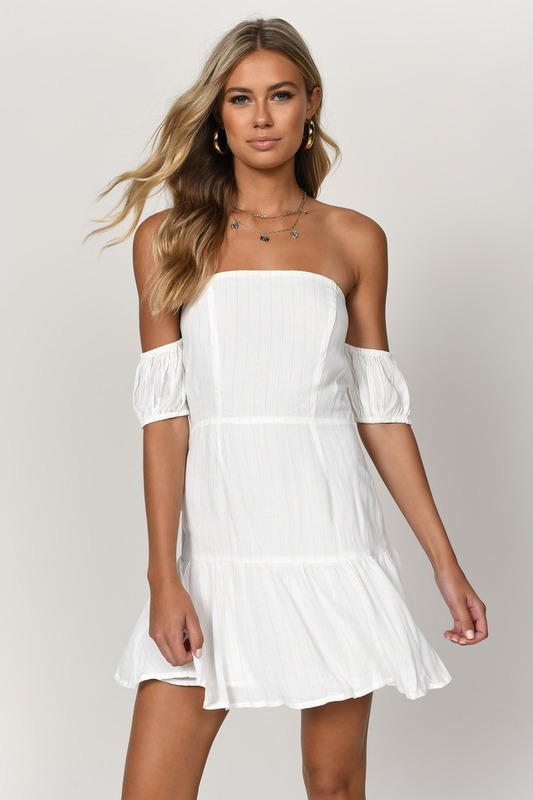 Check out Tobi's Ally Off Shoulder Skater Dress Looking for that weekend glow? The Ally Off Shoulder Skater Dress will brighten up your look. With off shoulder sleeves and a breezy silhouette, you'll be weekend-ready. Pair this Blush mini dress with heeled sandals or mules. Looking for that weekend glow? The Ally Off Shoulder Skater Dress will brighten up your look. With off shoulder sleeves and a breezy silhouette, you'll be weekend-ready. Pair this Blush mini dress with heeled sandals or mules. Looking for that weekend glow? The Ally Off Shoulder Skater Dress will brighten up your look. With off shoulder sleeves and a breezy silhouette, you'll be weekend-ready. Pair this White mini dress with heeled sandals or mules.